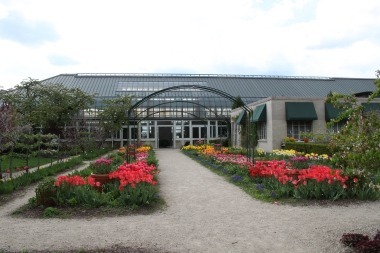 The 12 acres of outdoor gardens include the City Garden, Demonstration Garden, Play & Grow Garden, Artist’s Garden and Sensory Garden. 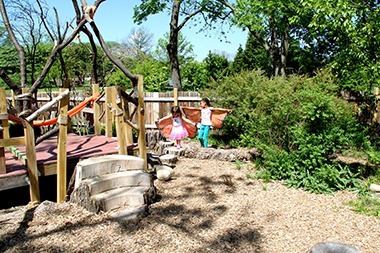 Kids 0 – 8 can experiment with pebbles, make mud pies, walk the stump obstacle course, or make music on a wooden xylophone. The garden is open seasonally. Children must be supervised in the garden. *Play & Grow closes for the season each year in December and will reopen on April 13, 2019! Raised beds include seasonal flowers and the carnivorous plant bog. To the west, there is a labyrinth to stroll for moving meditation. 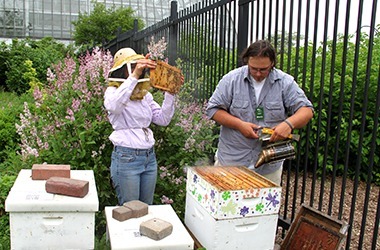 To the east are bee hives where you can catch Beekeeping Demonstrations on Tuesdays and Saturdays, 11am-12:30pm in the warmer months. 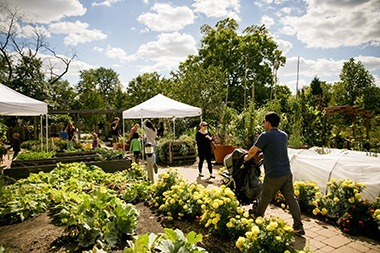 Visitors can learn about community and organic gardening in Chicago in this beautiful city lot-sized working garden. Find space-saving and above-ground growing methods, composting information and a wide variety of flowers, herbs and vegetables. The produce grown here is donated to the Garfield Park Farmers Market. 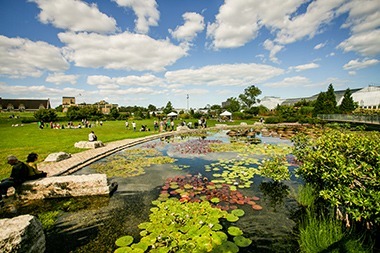 This garden displays many of the plants and flowers beloved by famous artists, with changing displays in its allée beds. This space is designed to challenge prevailing notions of what a major public garden is supposed to be. It includes lily pools, a gravel garden sprinkled with blue glass, and a stand of aspen trees whose leaves flutter with every breeze. 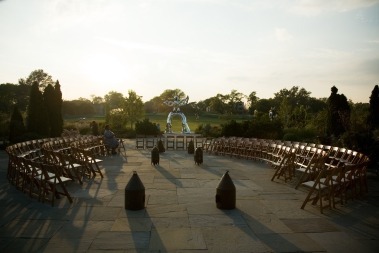 The Bluestone Terrace is located just beyond the Desert House doors, anchoring the City Garden and Demo Garden. Tables and chairs are plentiful on this landscaped terrace, making it a great spot for public gatherings and private events.